Another side dish strikes again! I love red potatoes. Well, I love potatoes. However, I know my body doesn’t necessarily need the sugars and carbs that come along with them. However, for some reason I pretend eating red potatoes is healthier. I’ve made them every which way: mashed, smashed, boiled, roasted, potato salad, sauted into a hash. Their mild flavor allows any flavor to stick nicely to them. Also, their small shape results in a quick cooking potato. My go-to definitely is a simple roasted red potato. I usually quarter them and then roast with some olive oil. Season with salt and pepper. Boom. Done and done. However, the night I decided to make these I had no intention of putting on the oven (I had the self cleaner on and it already made the house hot enough). Now, my method for making this little side dish isn’t the most nutrient-saver friendly, but it was quick and tasty. Sometimes, quick and tasty are my best friends. I took a few of the potatoes (washed) and put them into a plastic bag and cut a small vent. Into the microwave they went to steam to perfection. It was about 6-8 minutes until they were fork tender. Tossed them in my fresh herbs and plated them with our spicy sausages. Sometimes there’s just something delicious and comforting about a basic meat and potatoes dinner. This super simple side dish is ready in minutes, but tastes fresh & flavorful. 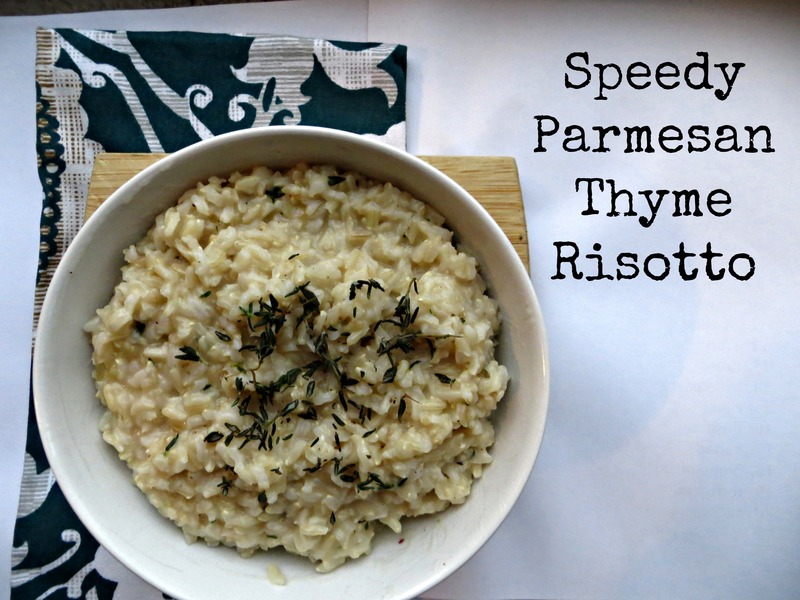 If you are a busy mom/dad/person, this is something to add to your “quick dinners” list. They go well with any type of meat, poultry or fish. Afraid of the ol’ microwave? 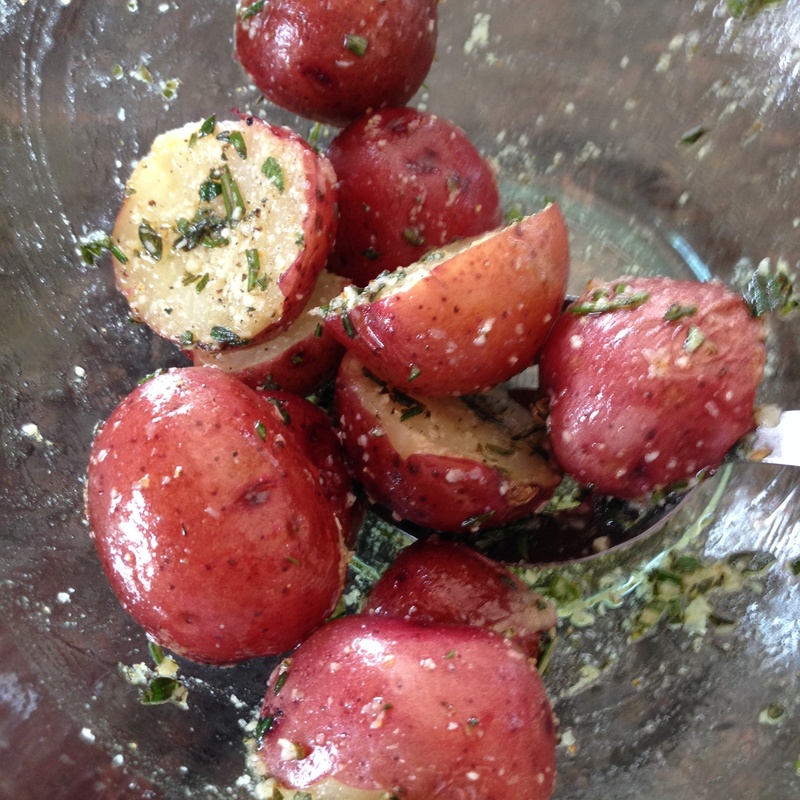 Half the potatoes and roast in the oven then toss with the herbs. I hope you all are having a great week thus far and enjoying our beautiful summer weather! 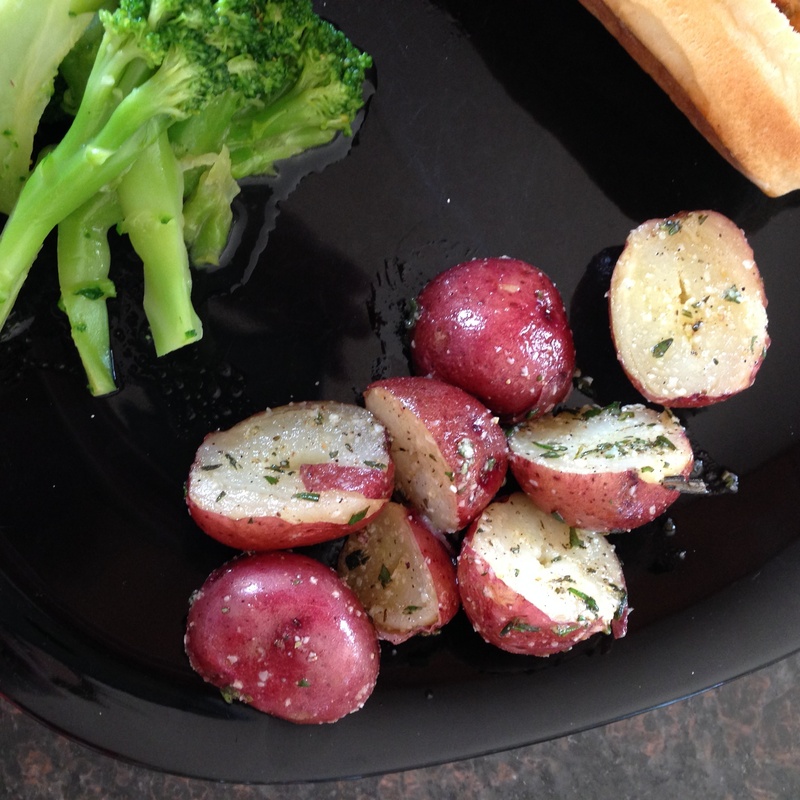 Speaking of… wouldn’t these potatoes pair nicely with a delicious juicy grilled steak?? 1. In a ziplock bag, place the clean potatoes and close. Pierce a small hole for a vent. 2. Microwave for 6-8 minutes or until fork tender. 3. While they cook, chop the herbs then combine with the oil, salt, pepper and parm. Stir to combine. 4. Carefully remove from the steam bag from the microwave. Let cool 1 minute. 5. Remove potatoes and half them. Instantly toss with the oil/herb mixture. The heat from the inner potato will warm and wilt the herbs. If you follow along with me on Instagram, you most likely saw my picture of my visit to the meat market. I was introduced to this little gem and will be headed there on a weekly basis. The place is called Market Place Meats & Deli and is relatively close to our house. It was bright and sunny 2 Sundays ago so I went on a solo adventure to the meat market. I fell in love. Not only are there a huge selection, but the prices are amazing. Added bonus, my butcher is Polish and said each Sunday he will teach me a couple of words/sayings. He suggested some “petite steaks” which were sliced flat iron pieces. He said they are great for weeknight meals because they can be put on the grill for a few minutes and be done. I got a couple of other things: chicken breasts, chicken sausages, and ground chuck, all for $19.00. The night I planned to make the steak I wanted to pair them with some bold side dishes. I planned to make my Lemon Parmesan Risotto recipe, but knew I had to hurry home from work in order to get it going in time. Needless to say, I didn’t get home early enough. However, I still wanted to make it. Do you have a recipe that you love, but wish it was easier/quicker to prepare? 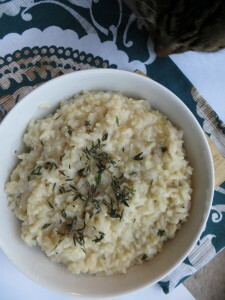 Risotto is one on my list. I love risotto. I don’t have time for risotto. Therefore, our relationship is very weak. To make an absolutely delicious and A+++ risotto you must be prepared to be patient and have about an hour to stand around, periodically stir a pot for about an hour. This working lady ain’t got no time for that kinda dinner. Fear no more. 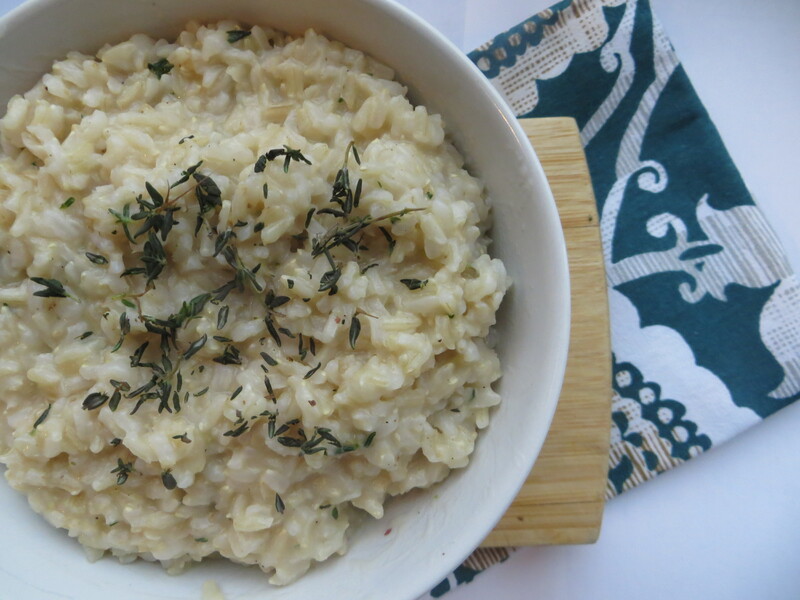 I cheated on the slow cooking risotto and sped up the process resulting in a creamy risotto. I even used brown rice! The key to my speedy risotto is to cook the rice according to the directions on the package and before all the water is absorbed you add a little more at a time. At first I thought there was no way this was going to work, but it did and I am happy & ready to experiment with different flavor combinations. 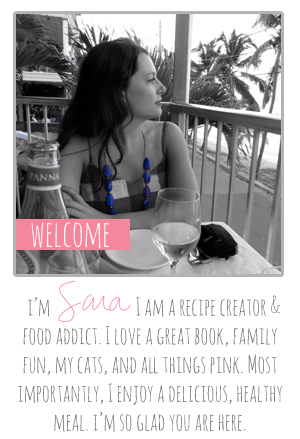 In the next few posts, you will notice that I will be featuring a lot of side dishes. This is because the meat market pieces don’t require a lot of jazzy sauces and recipes. They are simple and can be accompanied by a fancy side dish for a perfect weeknight meal! 1. Combine rice and water in a medium sauce pan. Bring to a boil. Cover and reduce heat. 2. When a small bit of water remains, add 1/2 cup and increase heat to medium. Stir often. 3. Slowly add 1/4-1/2 cup water at a time until the rice start to become creamy. 4. Add butter, parmesan and spices. Stir to combine. You may need a small amount of water again. 5. Stir in thyme and season with salt and pepper.